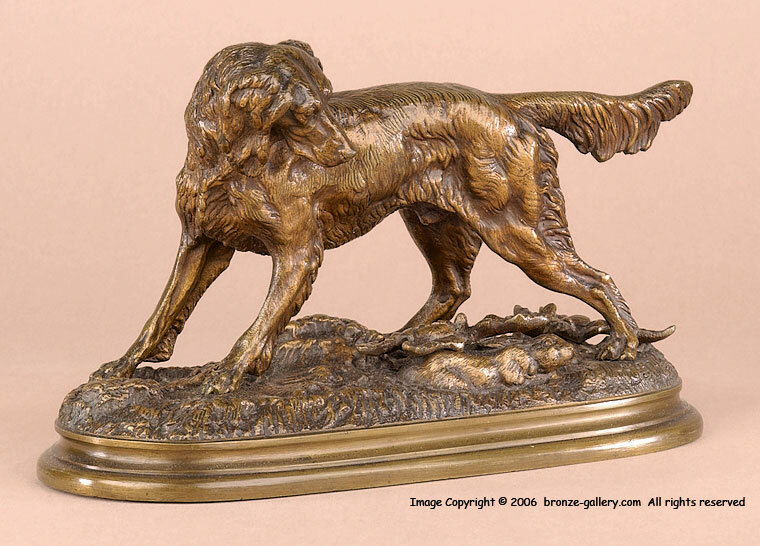 Jules Moigniez created several sculptures of hunting dogs that are among the finest of his work. 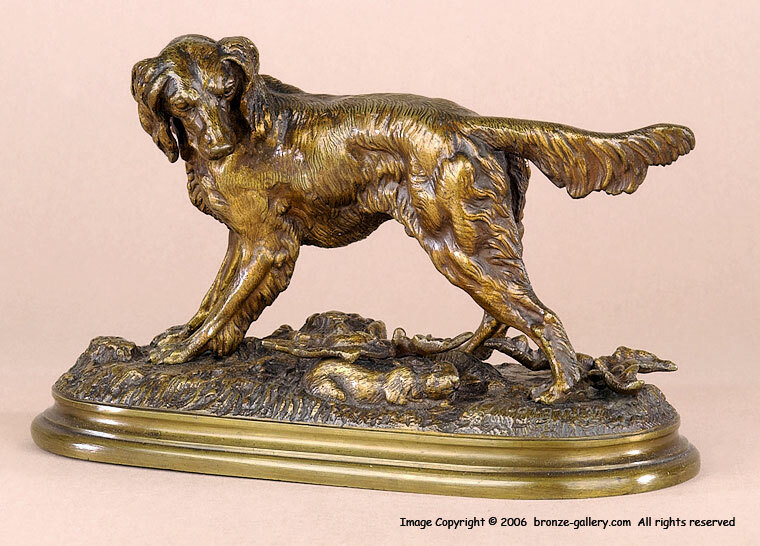 He did the pair of the Setter with Rabbit and Pointer with Game Bird and they were exhibited in plaster at the Exposition Universelle in 1855 and bronze casts were shown at the Salon in 1859. 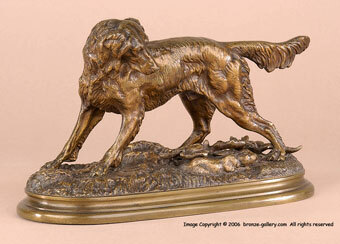 These hunting dogs pair were popular and were cast in three sizes, this single Setter and Rabbit is the middle size. The bronze is a fine cast, with the Rabbit peeking out from under a plant at the Setter standing above him, there is sharp detail in the dog's fur and the patina is a warm brown with a copper gilt that is unique to Moigniez's best bronzes.